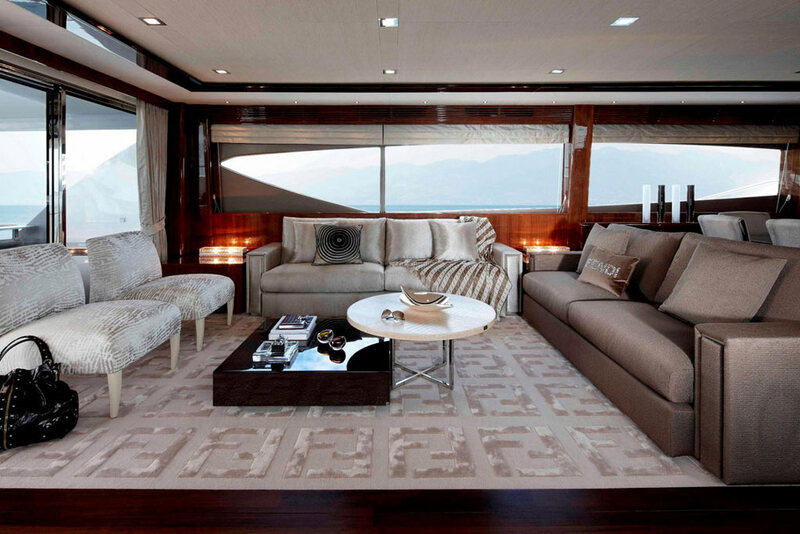 Interior design is even more complex, if that is possible, when it involves decorating a boat. These types of spaces are one of the most complex and unusual so we have to pay special attention to its decoration. Firstly, all the materials that are to be used should adapt to moisture and salt corrosion. To ensure this, the furniture chosen to decorate the yacht should be made out of durable materials that are properly treated. Secondly, you have to maximise space as much as possible, this way life on board will be a practical, functional and enjoyable experience. We should try to install furniture that has storage facilities such as drawers and cupboards so that the yacht is always in harmony. The dining room should be easily adaptable to the number of guests. Functionality of space to ensure comfort is even more important on a yacht. It is therefore advisable to use an extendable table in the dining room, and foldable chairs so that you can fold them away when they are not needed. In the bedrooms, the beds should be low and comfortable, helping the sea-goer rest even when the sea is rough. You should also have several storage units to facilitate daily living and order in the space. It is important to emphasise the surroundings inside and outside the yacht, you can do this by using light-coloured curtains that let light through, or using vivid colours to offset the light blue colour of the sky and sea. The wood types that are currently most fashionable for boats are mahogany and cherry. We also found oak wood, wood from a tropical tree such as Wenge or semi-hard wood such as zingana. If you want to decorate your yacht but are unsure how to do it, contact us. Mobile Diseño collaborate with companies who specialise in boat decorating and can ensure that the results are perfect.